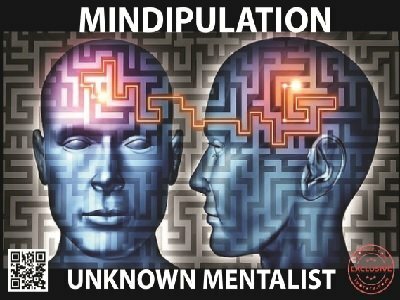 This is based on a classic principle but layered with multiple reveals and disguised with a mentalism presentation. Two participants randomly choose a card each while the performer's back is turned. In fact the performer never touches the cards after initially handing over the packet to a participant. The 'card' here is not a playing card but a 'mystic' card which has details like colors, directions etc. And yet the performer divines all the thoughts of both the participants. Only 4 cards are used for the routine and you can always carry these in your wallet or pocket. The printable props are pre-designed and included. Of course, you can print the 4 cards in any size you may want. You can also, if you wish, choose to perform this routine in an impromptu manner by simply 'handwriting' on 4 of your business cards right in front of your spectators and proceed to perform the routine. Suitable patter designed to heighten the overall impact is also included. Apart from the main routine, a couple of optional ideas based on the 'Miss Universe' theme and the 'Movies' theme are suggested. The underlying principle is very flexible and can be adapted for multiple themes with your imagination being the only limit. There are no sleights, no preshow, no stooges, no swami gimmick, no unswami gimmick, no peeks, no impressions, no switches, no marked cards, no tech, no tearing, no instant stooging, no dual reality. Instantly repeatable with a different outcome each time and with less than a 3 second reset time. The process is totally hands off for the performer and the cards can be examined both before and after the routine by the participants. 1st edition 2016, 16 pages. I REALLY REALLY like this unusual routine. I will DEFINITELY use it and highly recommend it!!! I give it a 12+ rating.